Birmingham is presently hosting the UK’s second Disney fan convention MouseMeets 2011 this May Bank Holiday weeked. The two day event organised by the team behind the DisneyBrit Podcast is being held in the cities Copthorne Hotel and has seen fans from all around the UK attend. The event has seen guest speakers giving talks on the Disneyland Paris ride the Phantom Mannor and Irish author Catherine Ryan Howard talked about her book Mousetrapped. 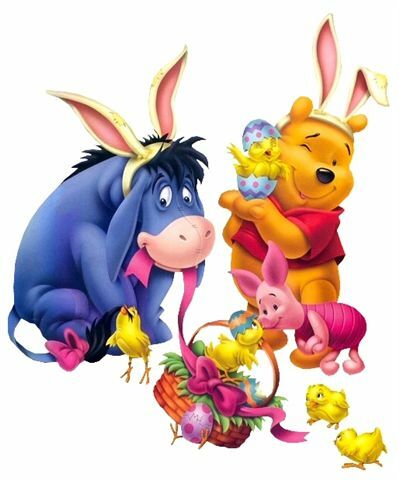 The event continues tomorrow with a screening of the movie UP and artist Kelly Brice shows fans how to draw their favourite Disney characters. 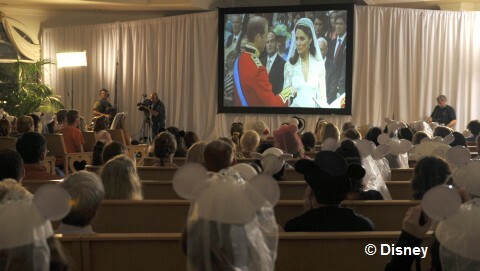 Hundreds gathered at Disney’s Wedding Pavilion at Walt Disney World Resort in Lake Buena Vista, in Florida today to celebrate the marriage of Miss Catherine Middleton and HRH Prince William during a special Royal Wedding viewing party hosted by Disney’s Fairy Tale Weddings & Honeymoons. Five people injured in Disneyland Paris ride accident. Five people were injured, one seriously, after an accident on the Big Thunder Mountaintan roller coaster at Disneyland Paris yesterday. 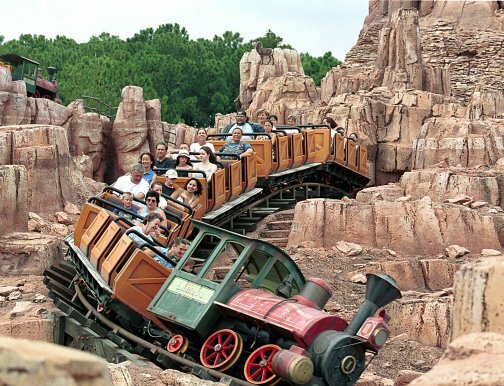 An element of decorative rockwork is reported to have come loose, striking guests riding the Frontierland mine train roller coaster. Five injuries are now confirmed, including one guest “seriously” injured — a 38-year old man who was apparently struck on the head by the resin element and has been taken to Beaujon hospital in Clichy-sur-Seine (Hauts-de-Seine) with a head injury. Initial reports had suggested this was merely a precautionary measure and a spokesperson later appeared to downplay the seriousness of the injury in a statement given to the AFP, clearly stating it was not life-threatening. According to Le Parisien, his family will be accommodated and looked after by Disneyland Paris for the duration of his stay in hospital. The four other guests, with only minor injuries, were treated on the spot and returned to the park. It is understood that the incident happened when a wood and fibreglass section of the structure inside one of the tunnels fell on one of the railway wagons. The tunnel section is described as “imitating an underground earthquake”, with rocks falling toward the cars. The attraction remains closed until further notice pending a full investigation. 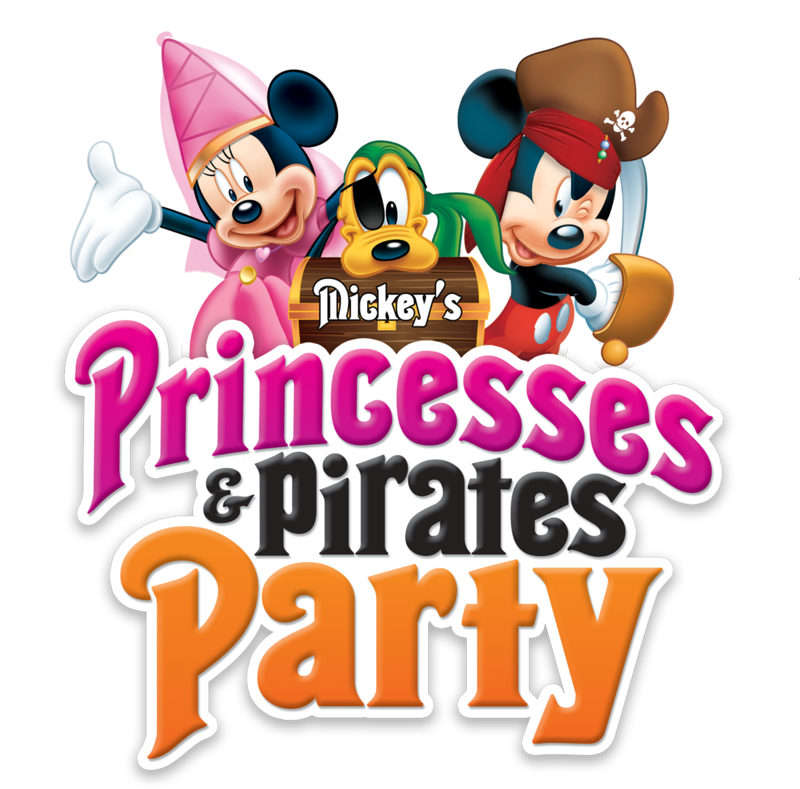 Disneyland Paris announced yesterday that all four Mickey’s Princesses & Pirates Party events, scheduled to take place in June, have been cancelled. Guests who have purchased tickets for the parties will be contacted directly by Disneyland Paris. Originally scheduled for the 1st, 10th, 17th and 24th June, the after-hours parties promised exclusive events and character encounters, with attractions open in Adventureland and Fantasyland. Marilyne the Community Manager at Disneyland Paris said the events had been cancelled due to the refurbishment work that is taking place in Fantasyland suffering delays and will not be finished in time for the parties to take place. 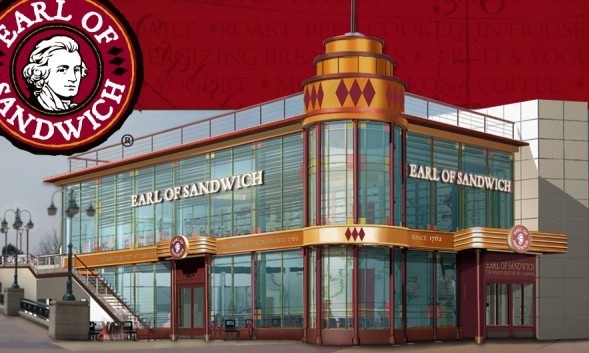 The newest restaurant at the Disney Village in Disneyland Paris, the Earl of Sandwich is due to open on 1st June 2011. A website for the restaurant has been launched, and they have started a recruitment campaign. This will be the chains second restaurant located on Disney property. The first opened in 2004 in Downtown Disney at Walt Disney World Resort, Florida. Spotted at the Covent Garden Disney Store last week is an exclusive edition London Trading Pin. It has Mickey’s head mounted against a Union Flag background, with the word ‘London’ in bold lettering underneath with a gold background. The pin costs £7 and is marked ‘Limited Edition 500’ on the gold backstamp, with the Disney Store logo, ‘Disney Store exclusive’ and the ‘Official Pin Trading 2011’ stamps. It is sold on a red backer card which is marked with the names of various other major European cities and the Mickey symbol. This pin is for sale in the Covent Garden Store in London and will be available in the new Oxford Street Store when it opens at the end of May 2011.